The Village of Westmont recently honored three Police Department personnel for their years of service to the community. 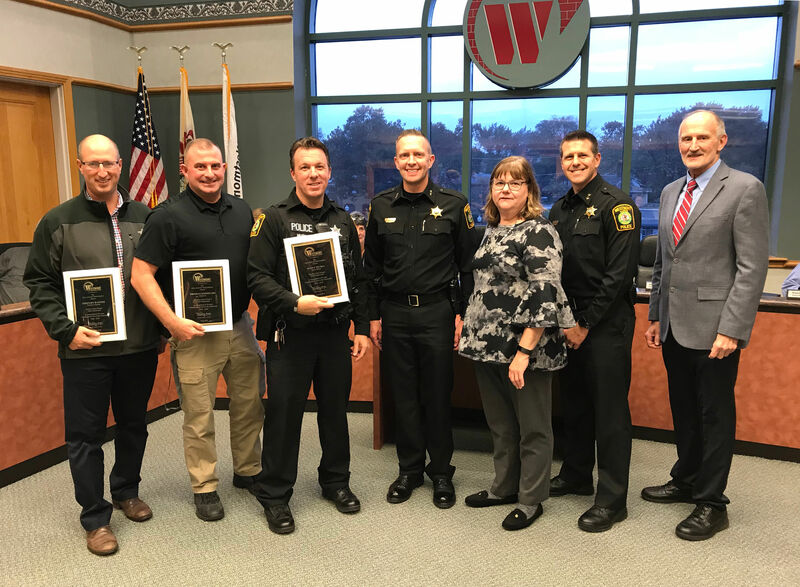 Scott Muska was recognized for 25 years of service with the Westmont Police Department, and Timothy Radtke and Thomas Kozielski were recognized for 20 years of service. The Village congratulates and thanks them for their dedication to the community.